I'm going to take a stab at making Roxy's sauce. 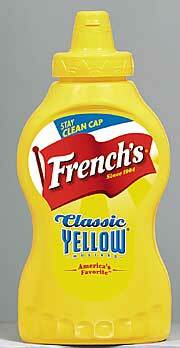 I'm not sure what you guys and gals mean by yellow mustard. it was cooked to 80C (the recomended setting on the weber temp probe). Is 4 hours too short maybe ? Should it be 1.5 hours per pound or something ? The bark wasn't at all black either. Being in the UK cant get these bbq saice brands hence having a stab at makign it from scratch. Wouldnt woory too much about competition from my back garden bbq lol. The sauce you use looks great, couuld you share the recipe please. thanks all. I like the look of a couple of them, will give them a try the weekend. Now for my next topic - suaces! Topic: Cooking temps - Where should I be aiming ? Cooking temps - Where should I be aiming ? I pretty much just leave all the vents open on my WSM, until the meat reads the right temp on the probe. Should I be controlling the temp inside the WSM a little more scientifically ? Will try a couple of them the weekend with a few racks of ribs. Any can link me to the beans you are using. Cooking Heinz Baked beans for 4 hours would result in mush. So I guess it cant be these ??? Cooked 3 racks fo ribs on the weber last night using charcoal bricks (B and Q own brand). They were like compressed dust blocks. After 5 hours the ribs were about half done. The smoke these blocks made were horrible and they justs didnt seem to get hot enough. Topic: Tanslation Canadian > British pls! Tanslation Canadian > British pls! Trying to workout which cut it is.